Preparing resilient, dynamic and diverse students for a fast changing world of opportunity and challenge through live learning, research, risk-taking and collaborative knowledge generation and exchange in art and design. 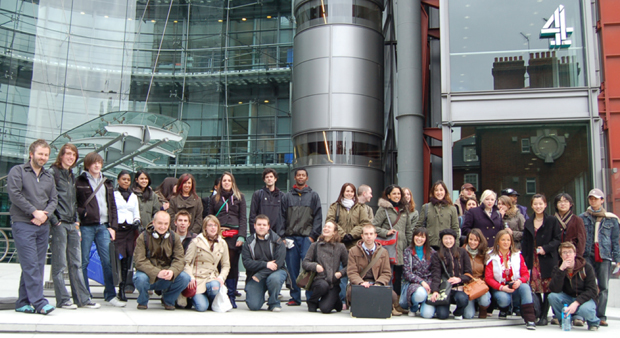 I am a Fellow of the Higher Education Academy and I have carried out a number of funded pedagogic research projects. 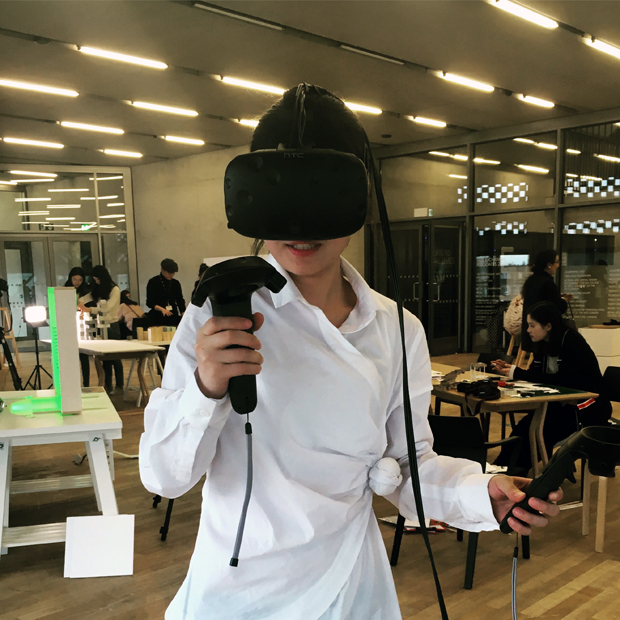 I have written design courses, including being commissioned to write the first BA in Virtual Reality in 16-17 which is now going through validation. I have written and presented papers at national conferences like Alt-C and in 2010 was in receipt of a Teaching Fellowship. I promote reflective practice as a way of developing critical and self-directed learning. I aim to develop students as reflective practitioners to encourage them to become autonomous learners – to think about their thinking. I am particularly interested in how this can be enhanced through the use of digital technologies - in particular how social media tools can help promote a form of shared reflection, or reflective dialogue, to help groups of students reflect, improve and learn form each other. It is clear that in an increasingly precarious environment for graduates, it is important to promote self-reflection, digital literacy and collaborative skills. It is this learning how to learn that will allow students to thrive in the dynamic and challenging world beyond University. + 2018 House of Daydreams project, Tate Modern. 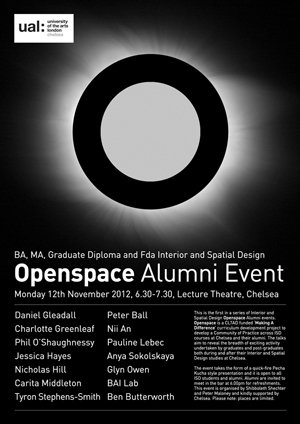 Collaboration with Shibboleth Schechter, Marsha Bradfield plus students from DRS05, DRS07 and MA Iinterior and Spatial Design. 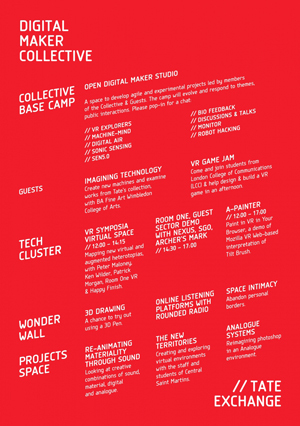 + 2017 VR Symposia, Tate Modern. + 2016 Two Funded Teaching and Learning Projects with Digital Maker Collective: Developing Open Learning Methods and Virtual Reality in Interior and Spatial Design. ISD Openspace Communities of Practice development, culminating in the successful Openspace ISD Alumni Event. 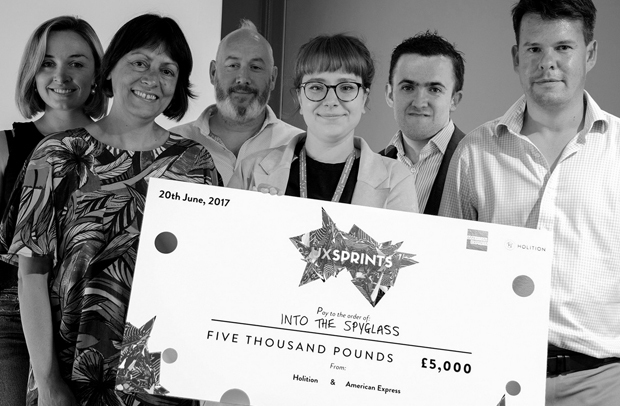 + 2017 MA Interior and Spatial Design Student Piera Di Mascoli Denker Rasmussen wins Holition's first ever UXSprints VR award.